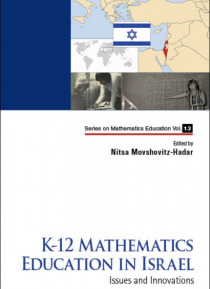 The book provides the reader with a multifaceted picture of mathematics education in Israel, put into an international perspective where relevant. It is intended to give an overview of a wide range of topics covering issues such as raising and maintaining motivation, search for excellence, treatment of difficulties, teacher education, language issues, minorities issues, curriculum changes over the… first 70 years of the state of Israel, and many more. This includes aspects of research and practice into the teaching and learning of mathematics, innovation, developments, policy, achievements, and implementation with some international comparison as well.